The project Thermal Energy Storage for Sustainable Energy Technology aims at a decisive contribution towards a new generation of efficient and compact thermal energy storage systems in three sectors of energy use: buildings, industry, and mobility. 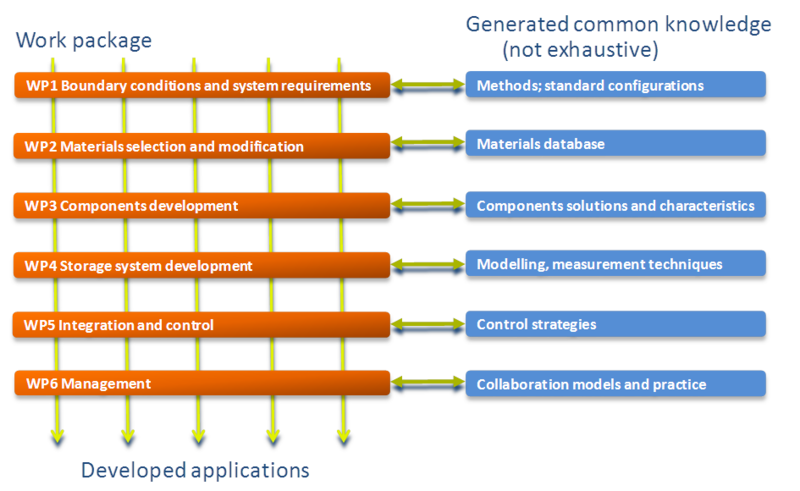 Five development lines cover the different aspects and relevant topics of the R&D work. The project consortium consists of key scientific institutions active in the field of heat storage technologies and leading industry partners which will provide the basis for further industrial development. The cross-technological and interdisciplinary approach of the project bundles competence and knowledge and generates cost- and timesaving synergies to lead to an effective technology development compared to separate projects. The project has a common approach of the different development lines in five R&D work packages. This means that for every step in the development process, the methods, tools and knowledge are generated jointly, creating a pool of knowledge within the consortium. By actively appointing specific knowledge and expertise tasks to specific partners, the development is considerably accelerated and a solid basis is laid for future collaborations with new industries.